So, this weekend Jesse challenged me to a switched off weekend. What does that mean? No phone. No emails. No social media. I know what you're thinking, hold up a second girl, you've just posted a blog post. No, I'm not a wizard who can blog from my mind (though that would be cool) - my lovely husband gave me an hour of switched on time so I could smash out a recipe for you! See, I told you he was lovely. The purpose of the switched off weekend is, of course, to spend more time together. Actual time together not I'll sit next to you and watch netflix in bed whilst I madly type out recipe ideas on my iPad and spend way too long trolling instagram time. A few weeks ago Jesse decided he was going to give up playing his video games on the weekend which meant we got to spend more time together and I spent less time mindlessly flicking through web pages or scribbling ideas in my umpteen billion and five different notebooks but this weekend he set me the ultimate challenge - and I have to say it isn't actually as bad as I thought.. I'm a bit of a social media addict given that I manage companies social media pages for a living and I run a blog which involves a lot of social media-ing and we have friends and family all over the globe that I can't just meet for coffee. One of the things we've recently started doing together on the weekend is making dinner together! Usually I do all of the cooking and Jesse just does the consuming but I've been getting to help me out more and more in the kitchen and he's actually found that he loves it. Risotto and Cornbread Bakes are two of his favourite dinners to make so I thought I'd share this delicious risotto variation we whipped up last night! We've got our Lightened Up Healthier Basic Risotto Recipe (as well as our super scrumptious Healthy Boscaiola Risotto Recipe) already on the blog and this recipe uses that base, adding some deeeeeeeeelicious ingredients for a flavour packed meal. Add your prepared onion and garlic to a medium-large saucepan, cooking until golden and fragrant over a medium heat. Next, add in your arborio rice, stirring to combine with your other ingredients and cooking for 1-2 minutes. Add in your stock and water*, bringing to the boil and reducing the heat back to medium. Stir your risotto every now and again to ensure everything is cooking evenly and to help give your risotto a creamy texture. When your rice is soft and the liquid has almost entirely absorbed, add in your parmesan cheese and stir to combine. *Alternate method; I know some people swear by the absorption method, adding 1/4 cup of liquid, allowing it to absorb then adding another 1/4 cup etcetc until all liquid is absorbed, however, we tested this version and it worked perfectly. 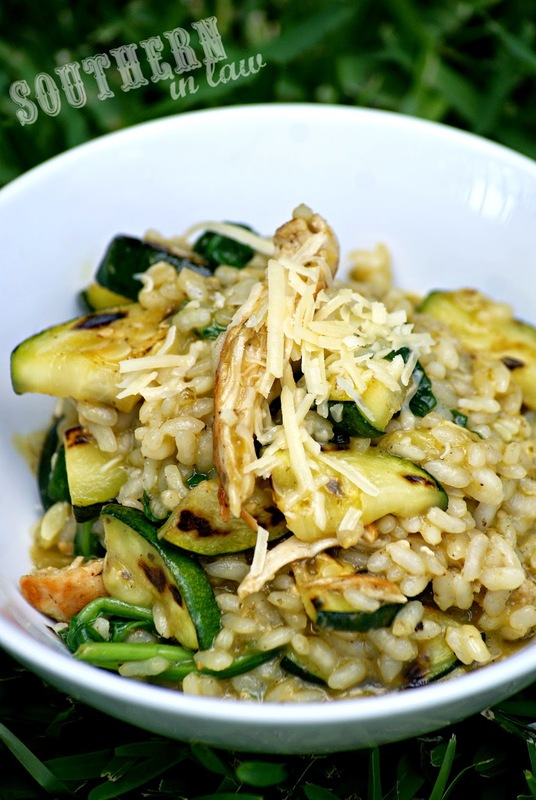 If you'd prefer to make your risotto using the absorption method, feel free to! Peel onion and place in bowl with ultrablade and garlic - mix on S11 for 10 seconds or until finely chopped. Replace ultrablade with mixer blade, add oil and launch P1 Slow Cooker without stopper for 7 minutes. When 4 minutes remain on your timer, add in the rice and restart. Add in your chicken stock and water and launch P2 Slow Cooker on 95ºC for 15 minutes with the stopper in place. When 1 minute remains on your timer, add your parmesan and restart. Season to taste and serve as is or add additional flavours/mix ins if desired. 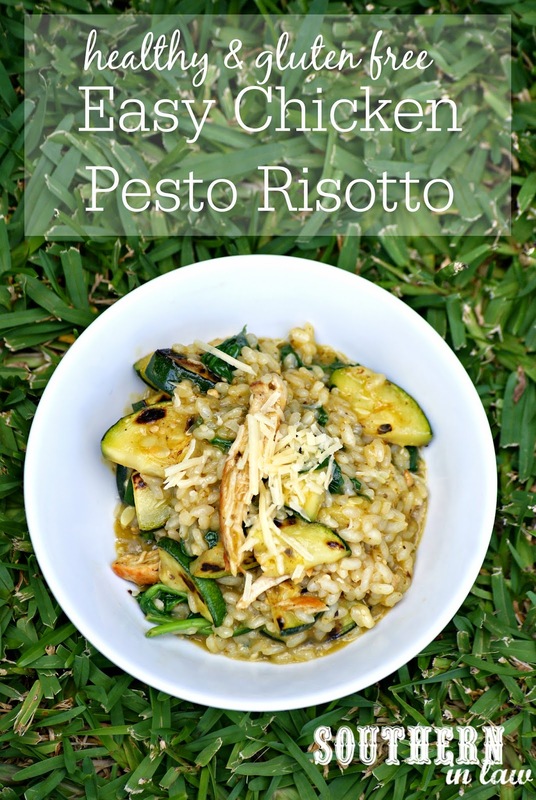 Add your pesto into your risotto base when you stir through the parmesan cheese to ensure everything is incorporated. Whilst your risotto is cooking, saute your chicken and garlic in a non-stick saucepan until cooked through. Remove your chicken from the pan and set aside, adding in your zucchinis, mushrooms or other vegetables (if using) and cooking as per your liking. 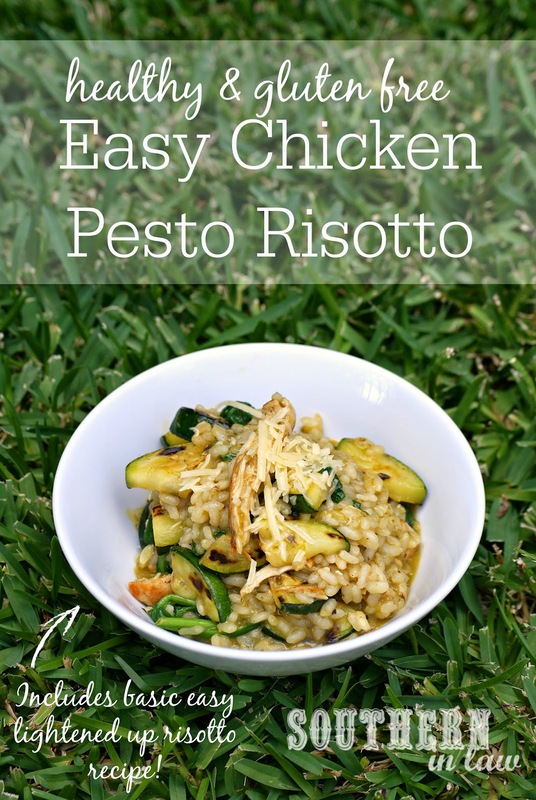 When your risotto has finished cooking, mix through your cooked chicken and veggies, serving immediately and garnishing with addition cheese/herbs if desired. I always like to make up a big batch and keep the leftovers for lunch the next day. Whilst it's better served fresh, I still think its absolutely deeeeeelicious reheated and leftovers will keep for 1-2 days in the fridge. 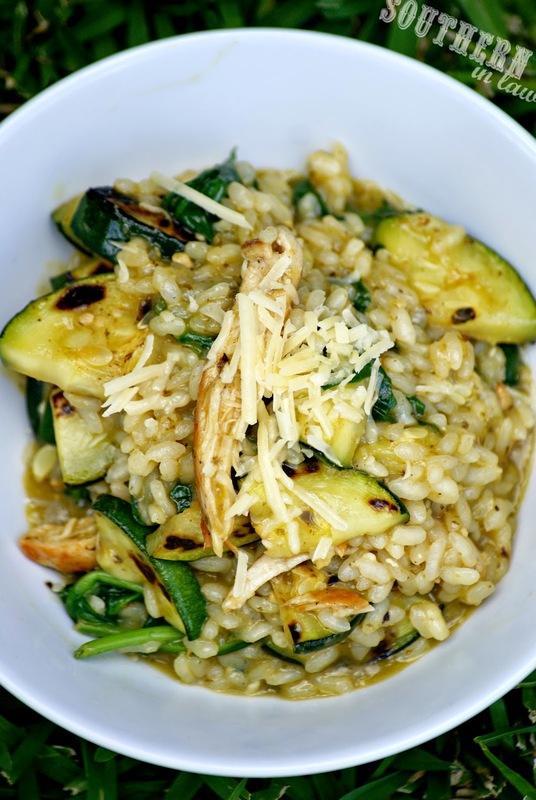 For a vegan or vegetarian risotto, simply leave out the chicken and amp up the veggies (also, be sure to use vegetable stock in the base) and use a vegan/vegetarian cheese alternative. But tell me, have you ever had a switched off weekend/week/month? Are you a fellow social media/internet addict? And what are your favourite things to do on the weekend? Started a new high protein diet 4 weeks ago, and alas have not found a protein cake recipe that hasn't been dry and tasteless... this looks great, will be trying out later!!! Only just discovered your blog, favourited and now a regular viewer! Stupid auto correct! "Put in" and "for a".....Sorry. So since the recipe says "a shot of coffee", would that be one ounce of coffee? Just want to be sure I get the measurements right haha. Hey Cheri, an ounce is perfect! You could try using applesauce instead of the greek yogurt, however, I can't vouch for the results. So glad you loved them, enjoy! I used this recipe as a base and loved how my muffins came out. I used 1/2 cup of almond milk in place of milk and yogurt, used chocolate protein powder (Shakeology) and added 1/4 cup of organic chocolate chips. I also used 1 tsp of coffee extract in place of vanilla. WOW! Amazing and still under 200 calories. Thanks for posting!